Ever wondered how to change the information on your Google Knowledge Card? The Knowledge Card is the helpful information that can appear off to the right in a Google search. You may not realize that you can customize the information and images in this area of the search results, and can even add a link to your Waitlist Me widget, so customers can easily add themselves to the waitlist or send reservation requests. Here is an example of the Google Knowledge Card in a search result. Choose the location you want to edit. Click into the URLs section. Add your Waitlist Me link to your reservations page. That’s it! While you’re there, you can always scope out your pictures and make sure the best ones are showing up in your search results. The pics you upload should in JPG or PNG format. Choose a great glamour shot of your business for your Profile Picture, and then use a square picture for the Logo field. Add a few more pics of the inside, outside, and product to round out your profile! 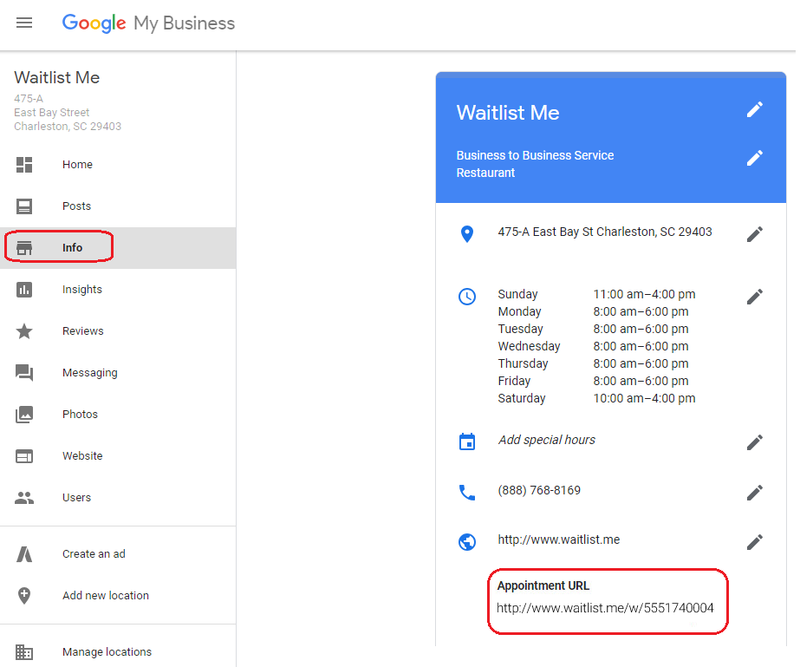 Here is more on how to use the Waitlist Me web widget page to let customers to add themselves to the waitlist or schedule reservations.